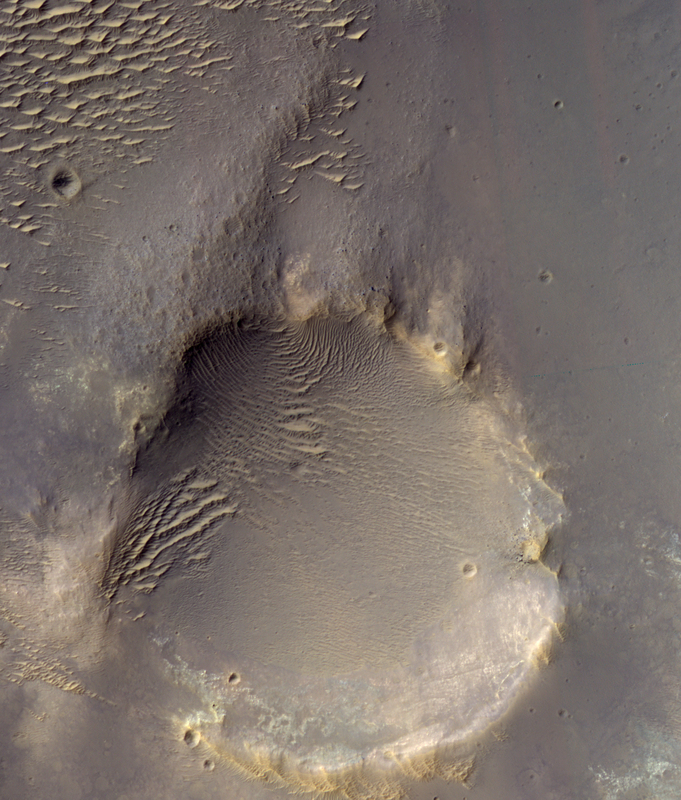 The big crater is ~400 m (1/4 mile) across. 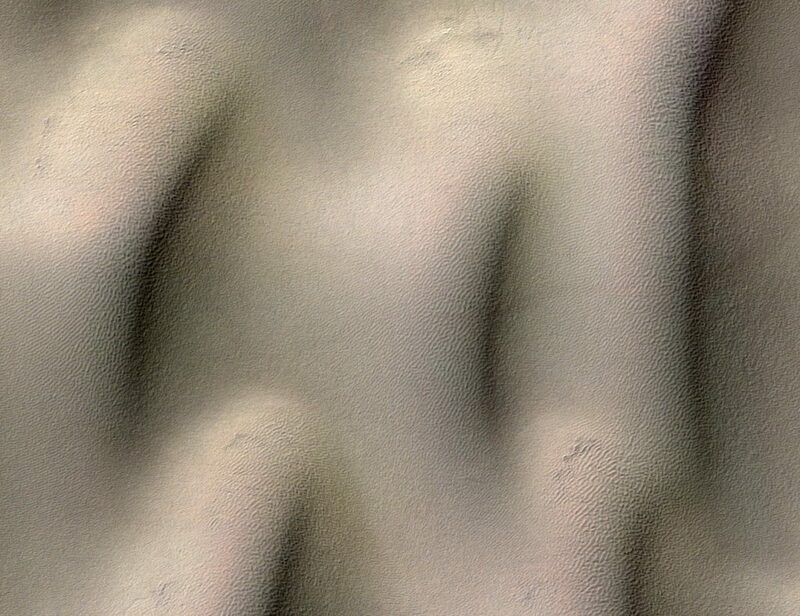 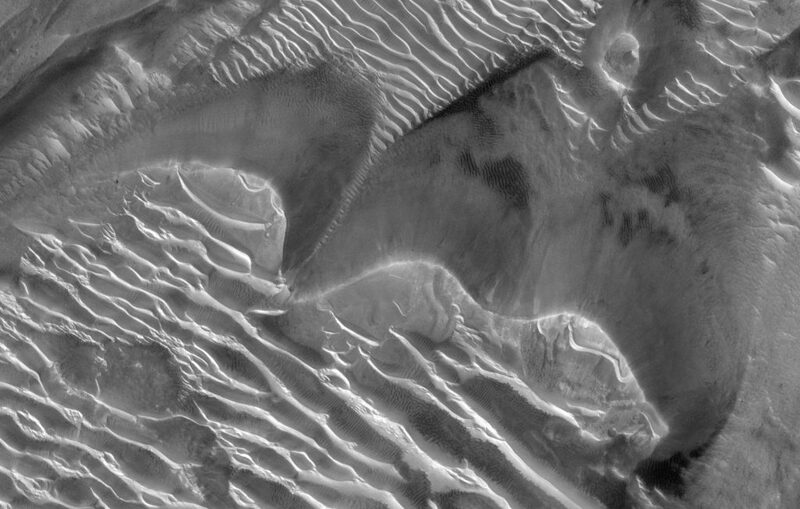 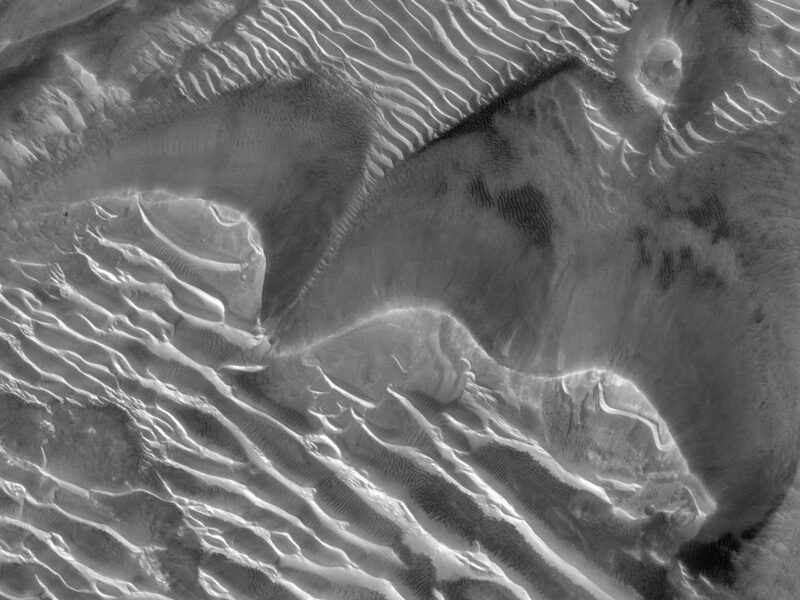 Wind blows sediment from the top to the bottom of the view, making some dune-like features (TARs, really) at the top and inside the crater. 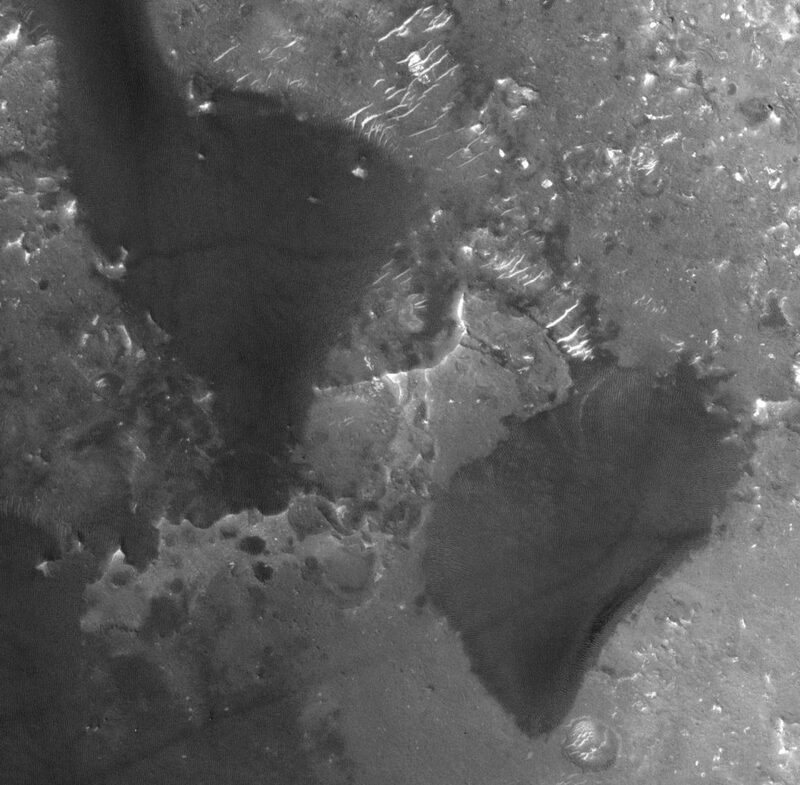 The rim at the top of the crater has a set of hills with a dip inbetween them, which allows wind and sediment to be funneled into the crater through a narrow valley. 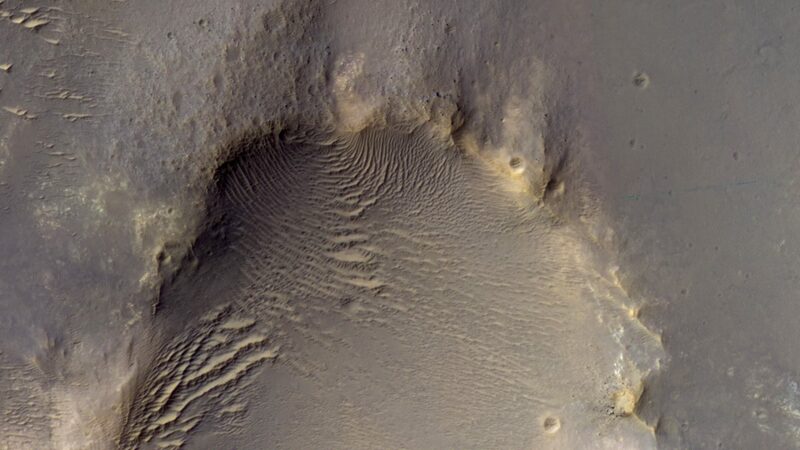 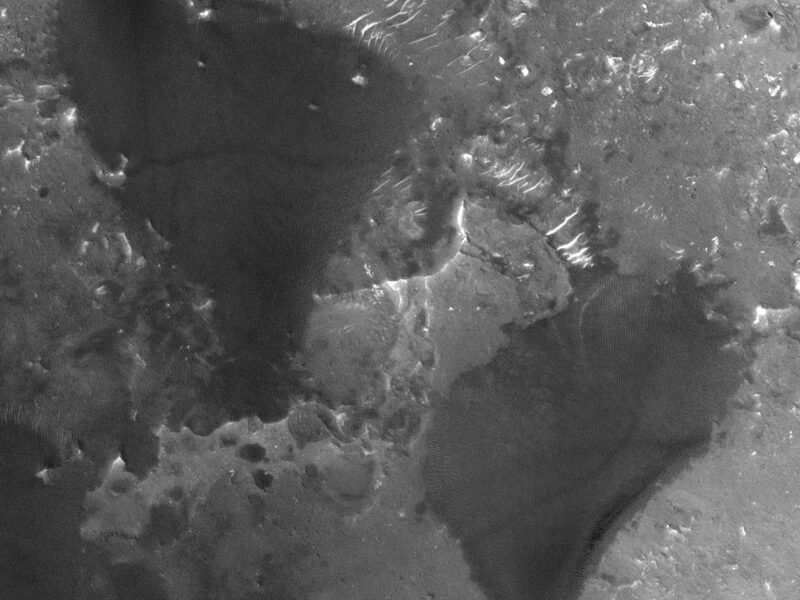 Once inside the crater, the wind expands laterally, so that some of the dune-like features form arcs, like ripples that form after you throw a rock into a pond.